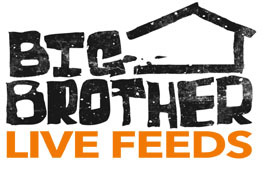 Many fans of Big Brother are curious how to apply to be a contestant on Big Brother 13 on CBS. We’ve got the details for you!It’s pretty simple to submit your application to be a contestant on Big Brother 13 that will air on CBS during the summer of 2011. All of the details and PDF application are available at CBS.com. Once you submit your application, leave a comment below and let us know why you should be on Big Brother next summer! Big Brother 19: Will You Apply? ‘Big Brother 19’ week 1 eviction and Head of Household live blog: Who’s going home? Andrea Reiher Odom: Totally agree on Cameron, huge bummer for him. Josh is certifiable. But I hope he stays because he's good TV. © 2017 WeLoveBigBrother.com | Created by ScheffTech Productions & supported by Gravy Train Productions.